Active Autowerke Clutch Kit BMW - Dezod Motorsports Inc - Home of the automotive performance enthusiast since 2002. Proud owner of a forced induction system cranking out 400+ BHP? Good for you. Question: how’s your clutch holding up? Probably not as well as your image. After extensive testing, we’ve perfected what we think is the only clutch kit for high-output Bimmer that provides the clamping force necessary to eliminate slippage while still maintaining a factory-like pedal feel for everyday driving. Even if your power curve isn’t off the charts, this kit is well suited for any driver who’s looking for a more positive, robust clutch than the factory version. 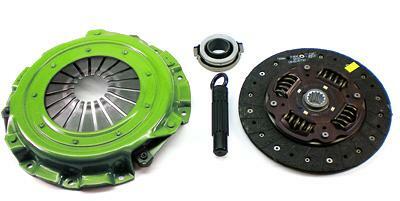 Clutch Kits available with or without Flywheels.